Along with the USDA (USDA ARS), Functional Food Center is pleased to announce its 17th International Conference, "Discovery, Utilization and Control of Bioactive Components and Functional Foods". This will be held at the University of San Diego, San Diego, California, USA on November 18-19, 2014. The conference will bring together experts in medicine, biology, and the food industry to discuss the discovery,utilization and control of bioactive components and functional foods. The abstract submission deadline has been extended to September 30, 2014. However, space is limited so don't wait; submit your abstract today! The entire abstract should have a maximum of 650 words (up to three pages). There is no up-front fee to submit a conference abstract. Failure to register with payment within 7 days of acceptance will result in an additional abstract publication fee of $49. First authors will register, pay the conference fee, and present the paper if the conference committee accepts their submission. In the case of an emergency and the author(s) are unable to attend the conference, they are required to pay an abstract publication fee of $99. Selection decisions will be promptly communicated to the authors via e-mail. All contributions will be reviewed, and accepted abstracts will be published in the conference proceedings book. Please e-mail your abstract as an attachment to ffc_usa@sbcglobal.net. See our sample abstract. There is no charge for the withdrawal of an abstract. In the case that the first author cannot attend the conference and present, he or she must contact the conference organizing committee via e-mail, at ffc_usa@sbcglobal.net, to provide notification of withdrawal or to request a substitute presenter. Withdrawals must be received before May 30th, 2014. Please note: Abstracts withdrawn after July 30th, 2014, will be published and the first author will be expected to pay the abstract publication fee. The conference provides neither financial support nor registration fee waivers for presentations. To avoid the last-minute rush, submit your abstract in advance. Abstracts received by the Conference Organizing Committee after September 30, 2014 at 5 pm will not be accepted. For any information concerning publications, please contact us at ffc_usa@sbcglobal.net. For more information about abstract submission, please click here. Poster presentations give the audience a clear visual of the presenters' work in a simple format. The reasonable size for posters is 2.5 – 3.0 feet high by 3.5 - 4 feet wide. Remember that pictures, tables and figures are key to any poster display. Good use of color, and of black or dark blue for text. Too much color can be hard to read! One or two large high-quality photographs attract attention. The registration fee will cover the Conference Proceedings book (Abstract book), and lunches and refreshments for 2 days. It will also cover a 12 month membership to the Academic Society for Functional Foods and Bioactive Compounds. Cancellation Policy: Two months before conference: 75% refund; 45 days before conference: 50% refund; one month before conference: No refund. Refunds will be sent after the conference. Notice of registration cancellation must be received in writing to the Conference Secretariat, at ffc_usa@sbcglobal.net. All refunds will be provided after the conference within 14 days. The abstract submission deadline has been extended to September 30, 2014. Full-text papers for oral presentations or posters should be submitted before October 30, 2014. Power Points for oral presentations should be submitted before October 30, 2014. Please send all documents to ffc_usa@sbcglobal.net. Please click here to view our conference schedule. For more information about the conference, please contact us by e-mail at ffc_usa@sbcglobal.net. For international calls, please use: 469-441-8272. 14:25-14:50 Sonja Brandenburger, PhD Candidate, Department of Nutrition, Food and Consumer Studies, University of Applied Sciences, Fulda, Hesse, Germany: European Health Claims for Small and Medium-Sized Companies – Utopian Dream or Future Reality? Bioactive Compounds Discovery Award: The Functional Food Center will award two presentations: $500 for first and $100 for second place winners for the investigations in the area of bioactive compounds discovery. Research and Development Award: The Academic Society for Functional Foods and Bioactive Compounds will award two presentations: $500 for first and $100 for second place winners for the best investigation in research and development of functional food products. The Academic Society also will award the book “Introduction to Functional Foods Science” to all finalists (a value of $229.00). All prize-winning authors should be able to publish a full version of their article in the Journal of Functional Foods in Health and Disease. 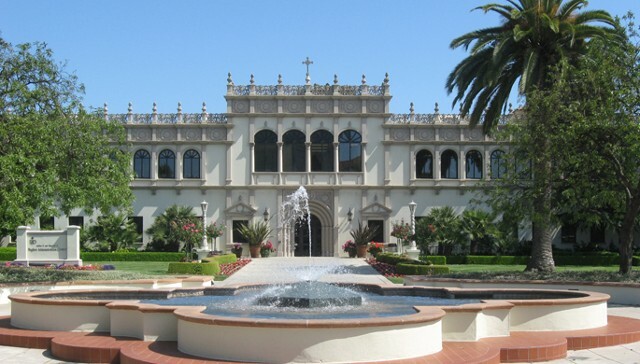 The University of San Diego (USD) is a nationally ranked Roman Catholic institution with more than 800 faculty members and 7,800 undergraduate, graduate and law students. Governed by an independent Board of Trustees, the university has six academic divisions: the College of Arts and Sciences, School of Law, the School of Business Administration, the School of Leadership and Education Sciences, the Hahn School of Nursing and Health Science and the Joan B. Kroc School of Peace Studies. 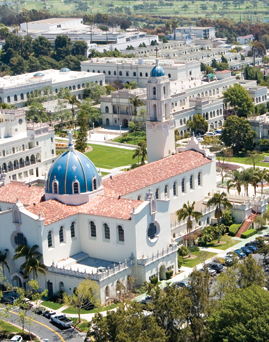 USD's values-based education offers students bachelor's, master's and doctoral degree programs. The 180-acre campus contains buildings that encompass more than two million square feet and provide educational, administrative, residential, athletic, dining and support services. You will experience the finest in traditional California hospitality at Best Western PLUS Hacienda Hotel, as well as dining, theater and sightseeing adventures. Relax in the spacious comfort of a beautifully appointed guest room at the Best Western PLUS Hacienda Hotel, surrounded by colorful courtyards, patios, and lush landscaping. You will love the charming atmosphere, convenient location, panoramic view of the ocean, and city lights from this picturesque hillside retreat. All of this is just footsteps away from the unique galleries, restaurants and boutiques in the neighboring historic Old Town. Old Town is known as the heart of San Diego, where California began more than 200 years ago. Just three blocks away from the Hacienda Hotel is the Old Town trolley station on Taylor Street. The trolley links to downtown San Diego, the Gaslamp Quarter, Qualcomm Stadium, Tijuana-Mexico, Fashion Valley and the Mission Valley shopping centers. Attendees may call the hotel at (619) 298-4707. Mention you are a part of the USD Functional Foods in Health and Disease Conference group, to reserve rooms. Reservations for the November 17-20, 2014 are available at the conference special rate of US $130 + tax per night. This rate is available now through October 17, 2014. Hotel Features: free airport shuttle, free continental breakfast and dinner, free high speed internet, pool and more. Rate to include full El Presidente Benefits, which includes breakfast, dinner and two drink coupons per day in the Old Town Tequila Factory Restaurant & Cantina. Each additional guest in a room is $10.00. If an additional person requests the benefits, the cost is $24 per day. Rate does not include the 10.5% San Diego Transit Occupancy Tax and the 2% San Diego Tourism Marketing District Assessment Fee. The Best Western PLUS Hacienda Hotel will add a $7.00 Facility Fee per night to our daily room rate (taxes and surcharges are subject to change). Overnight parking is $14.00 per car per night. The most difficult aspect of planning a trip to San Diego is deciding what to do, what to see and where to go. As California's second largest city and the United States' 8th largest, San Diego boasts a citywide population of nearly 1.3 million residents. Within its borders of 4,200 sq. miles, San Diego County encompasses 18 incorporated cities and numerous charming neighborhoods and communities, including downtown's historic Gaslamp Quarter, Little Italy, Coronado, La Jolla, Del Mar, Carlsbad, and Hillcrest, to name a few. San Diego is renowned for its idyllic climate, 70 miles of pristine beaches and a dazzling array of world-class family attractions. Popular attractions include SeaWorld San Diego and LEGOLAND California. Balboa Park, the largest urban cultural park in the U.S., is home to 15 museums, numerous art galleries, beautiful gardens, the Tony Award-winning The Globe Theatres and the world-famous San Diego Zoo. San Diego offers an expansive variety of things to see and do, appealing to guests of all ages from around the world. San Diego Bus/Trolley - San Diego Public Transportation is known for its reliability, safety and convenience. Often called San Diego's "moving landmark", the Trolley is also a fun way to get around. The Trolley serves historic Old Town, Mission Valley, Fashion Valley, Petco Park and Qualcomm Stadium, among other popular San Diego destinations. Taxi Service – San Diego County’s taxi services are a great way to get around and see the sights without having to be in the driver's seat. Ideal for commuting from the airport, cruise ship terminal or traveling from your home or hotel room to a nearby destination, taxis are a quick and convenient way to get around town. Choose the company that best fits your needs and kick your feet up while enjoying San Diego's scenery. Car Rental – San Diego car rentals offer convenient means of transportation during your stay, or just a fun way to get around. If you decide to rent a car while in San Diego, the centrally-located airport is served by all major car rental agencies, and reservation boards with courtesy phones are located near the baggage claim areas of Terminals 1 and 2. Shuttles regularly circle in and out of the airport to car rental outposts spotted near and around the airport. Many of them are on Harbor Drive and near the Commuter Terminal. 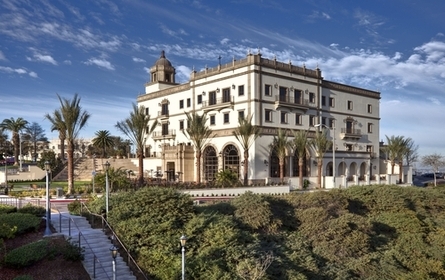 Many car rental companies also provide convenient pick-up services at several San Diego hotels. Be sure to make reservations and arrangements ahead of time. Many hotel concierge services can also offer these services, so check with your hotel on what they can provide for you. The 17th International Conference of Functional Food Center (FFC) and 5th International Symposium of Academic Society for Functional Food and Bioactive Components (ASFFBC) were both held on November 18 – 19, 2014 at University of San Diego, San Diego, California, USA. The 17th International conference, entitled “Discovery, Utilization and Control of Bioactive Components and Functional Foods”, was jointly organized by the FFC, USDA (United States Department of Agriculture) ARS (Agricultural Research Service), and ASFFBC. The conference brought together expertise from the realm of functional foods from all over the world. Like others, this conference was a success as we saw scientists and industry experts from about thirty countries gathered at San Diego, and participating in intriguing discussions on a variety of topics in conference sessions. The USDA deserves special mention here. They not only lent a hand in organization but also brought an excellent team of speakers with them. Among the most appriciated for active participation in the Panel Discussion Session, and for their substantive presentations, were Pamela Starke-Reed, PhD; Lisa Dean, PhD; Mark Berhow, PhD; Sean Liu, PhD; Mukti Singh, PhD; Meena Somanchi, PhD; and Frederick C. Felker, PhD. We thank the USDA for its highly professional support and hope to continue working with them in the future. Theconference was opened by a welcome speech by Danik M. Martirosyan, PhD. Dr. Martirosyan talked about the importance of the conference and the reason to discuss discovery, utilization, and control of bioactive components and functional foods. He started his speech with the discussion of the "Functional Food Definition" according to the FFC. The FFC defines functional foods as “natural or processed foods that contain known or unknown biologically-active compounds; which, in defined amounts, provide a clinically proven and documented health benefit for the prevention, management, or treatment of chronic disease”. He mentioned that the present definition was accepted by the audience and participants at the 10th International Conference of FFC at the University of California, Santa Barbara. The definition put forward by the FFC is different compared to other definitions, accentuating bioactive compounds as the central part of functional food. There can be one or many bioactive compounds in a given functional food. Researchers are trying to find out the relationship in which they work together to be effective. Dr. Martirosyan added another important concept in the definition: the importance of the amount of bioactive compound(s) to convert an ordinary food into a functional food. Different amounts of bioactive compounds work in different situations. Sometimes too much bioactive compound in a food can be toxic. In general, a “physiologic intake range of bioactive compounds is regarded as safe. Concerning supraphysiological or pharmacological doses, safety aspects and health benefits must be documented”. Therefore, it is crucial to have a thorough discussion on the use and control of bioactive compounds and functional foods. Session 1: “Functional Food Ingredients and Bioactive Compounds: Sources and Potential Benefits in Public Health” - chaired by Bruce P. Burnett, PhD. Session 2: “Discovery of Bioactive Components” - chaired by Mark Berhow, PhD. Session 3: “Legislation on Health Claims: Healthy, Functional and Medical Foods” - chaired by Marvin Hausman, MD. Session 4: “Functional and Medical Foods for the Management of Chronic Diseases” - chaired by Prof. Garth L. Nicolson. Session 5: “The Effects of Bioactive Compounds on Biomarkers and Delivery in Every Day Foods and Beverages” - chaired by Kristberg Kristbergsson. Session 6: “Dairy Functional Foods” - chaired by Meena Somanchi. Session 7: “Research and Development of New Functional Food Products” - chaired by Danik Martirosyan. Th following report shows the various presentations from the 17th International Conference of Functional Food Center. Pamela Starke-Reed, PhD, Deputy Administrator in the Office of National Programs, USDA, gave a talk on “Functional Foods Research in the Agricultural Research Service”. She initiated her talk on the Research, Education, and Economics divisions of the USDA, and then highlighted the ARS and its mission. She discussed some basics of functional food and ways to enhance the food, while shedding light on needed research of ‘Functional Foods”. She then discussed various goals of the National Human Nutrition Program Action Plans NP107 and NP 306. Ongoing research projects in ARS National Program were also included. She ended her discussion by mentioning an interesting DRI nomination process for updating “dietary reference intakes”. The process has been started by 10 US and Canadian staff representing the USDA, ODPHP, NIH, FDA, and Health Canada, and will do systemic reviews and evaluations of nutrients. Lisa Dean, PhD, Market Quality and Handling Research Unit, USDA ARS, Raleigh, NC, USA presented on "Extracts from Peanut Skins Increase Levels of Bioactivity in Peanut Paste and Milk Chocolate". Lisa did a great job in testing the under-utilized peanut skins left after the blanching process of peanuts. Peanut skins are well known for their antioxidant property. Lisa’s team has already showed the anti-inflammatory effects of peanut skins in cell systems, and in this study, they have found a way to convert peanut skins into a functional food by spray drying. They also optimized the amount added to peanut paste and milk chocolate, that would increase their antioxidant power with minimal impact on flavor. Ramzi Mothana, PhD, Professor, Department of Pharmacognosy, College of Pharmacy, King Saud University, Riyadh, Saudi Arabia gave an interesting oral presentation on "Plectranthus barbatus: A Source of Antiprotozoal, Antileishmanial and Antitrypanosomal Abietane Diterpenoid Compounds". His research addresses a solution to major public health issues: malaria, leishmaniasis, and human African trypanosomiasis. His research group isolated ten abietane-type diterpenes from the aerial part of Plectranthus barbatus that showed antiprotozoal activity against P.falciparum, L. infantum, T. brucei and T.cruzi. His study added further evidence that medicinal plants are an important source of bioactive compounds. These natural bioactive compounds are usually more potent and have fewer side-effects than prevailing chemical drug treatments. Mark Berhow, PhD, USDA ARS, Functional Foods Research Unit, National Center for Agricultural Utilization Research, IL, USA presented “Discovery and Bioassay of Bioactive Compounds from Camelina and Other Plants”. Dr. Berhow planned to redirect the potential of phytochemical and chemical components of underutilized weedy crops and byproducts from agricultural processing for more profitable and useful purposes, such as treating chronic diseases, controlling pests, etc. Along with his team, he uses mass spectrometry and NMR to determine the molecular weight, atomic composition, and chemical structure of the chromatography-separated compounds. The biological activity of the compounds is then determined by a series of bioassays or pest control evaluations. The purified bioactive components can work alone or in combination against diseases or pests. Christina B. Wegener, PhD, Julius Kuehn Institute, Federal Research Centre for Cultivated Plants, Institute for Resistance Research and Stress Tolerance, Sanitz, Germany presented “Bioactive Compounds in Potatoes: Their Accumulation Under Drought Stress Conditions”. In their experiment, Dr. Wegener’s group initiated the drought stress conditions on three potato genotypes and measured antioxidant activity in tubers by the photochemiluminescent method. They also checked the amount of soluble phenols, proteins, POD, and LAH activity by UV photometer and free amino acids by liquid chromatography. The results showed that there was significant increases in the level of soluble proteins, LAH and free amino acids (especially proline). The data can be exploited to derive health benefits of potato tubers under stress. Bruce P. Burnett, PhD, Senior Director of Compliance, Medical and Regulatory Affairs, Entera Health, Inc., Cary, NC, USA presented “A New Regulatory Threat for Food and Nutrition Clinical Research in the United States”. His presentation focused on a recent change in guidance to institutional review boards (IRBs), regarding what tested agents require an investigational new drug application (IND). This change has the potential to affect functional food or any nutritional ingredient research in humans. The new FDA guidelines require sponsors and clinical investigators to file an IND before the start of any human research on a nutritional ingredient. This occurs in the same way that investigators file for a new chemical drug, if the food or ingredient is being tested for its effect on any structure, function or marker in the body. Dr. Burnett sees this regulation as a threat to food and ingredient research in that it may inhibit new nutritional research initiatives, since IND filings are costly and time-consuming for the companies, as well as university researchers. It is not even clear if a food or complex food ingredient could qualify under an IND, since the components of the food or ingredient(s) may not be able to be completely characterized for the chemistry, manufacturing, and controls (CMC) requirements applied to new drugs, which usually only contain one or two components. This guidance has already had a chilling effect on nutrition research around the country. Sonja Brandenburger, PhD Candidate, Department of Nutrition, Food and Consumer Studies, University of Applied Sciences, Fulda, Hesse, Germany presented research on a Nutrition and Health Claims Regulation (NHCR) entitled “European Health Claims for Small and Medium-Sized Companies – Utopian Dream or Future Reality?”. Sonja and his group analyzed the opportunities and strengths of small and medium sized enterprises (SMEs) in the European food and drink market based on the discussions held in NHCR. The analysis suggests publishing of a new European Union Register of Nutrition and Health Claims as a most promising opportunity, and the false investment followed by financial loss as the biggest threat. There is a possibility for high competition in the European food and drink market due to the health claims SMEs offer. Marotta Francesco, PhD, MD, Professor, ReGenera Research Group for Aging Intervention, Milan, Italy presented “A Novel Application of a Fermented Nutraceutical in Acute Respiratory Illnesses: An In-vivo, Placebo-controlled, Cross-over Clinical Study in Different Age-groups of Healthy Subjects”. Dr. Franceso reported the results of a clinical trial conducted in 90 sedentary healthy patients who were given fermented papaya preparation or placebos for a month. The results clearly showed higher salivary IgA, increased expression of phase II enzymes, and also increased expression of the most important respiratory tract antioxidant: SOD enzymes. Alexander G. Schauss, PhD, Senior Research Director and CEO, Natural and Medicinal Products Research, AIBMR Life Sciences, Inc., Puyallup, WA, USA gave a presentation on “The Effect of UroxTM (Crateva, Horsetail and Lindera Herbal Combination) in the Treatment of Overactive Bladder and Urinary Incontinence: A Randomized, Double-blind, Placebo-controlled Trial in Men and Women”. Dr. Schauss’s work addresses the problem of overactive bladder (OAB) and urinary incontinence (UI). The present statistics show that approximately 33 and 26 million Americans are affected by OAB and UI, respectively. Presently, both conditions show limited response to drugs and medical treatments available, because of adverse side effects. Herbal treatments with better efficacy and negligible side effects are available, but take a long time to show their effects. Dr. Schauss and his group designed a two month randomized, double-blind, placebo-controlled trial to study the effect of Urox (an herbal formula) on OAB and UI. Urox showed statistically significant results; the patients get relief in as little as two weeks without any adverse events. Marvin Hausman, MD, Entia Biosciences, Inc., Sherwood, OR, USA pointed out the importance of mushrooms in his presentation “Treatment of Anemia with a Natural Mushroom-based Medical Food ErgoD2”. Hausman’s group tested a natural mushroom based functional food ErgoD2 (formulated by Entia Biosciences) in a 4-month clinical trial consisting of twenty diabetic patients. They concluded that ErgoD2 medical food may be able to naturally redistribute iron stores by reducing iron overload in some tissues, while increasing iron availability in the blood. Their conclusion was based on the results of trial: elevated blood-iron levels, reduced TIBC, and increased percent iron saturation. Garth L. Nicolson, PhD, Professor, Department of Molecular Pathology, Institute for Molecular Medicine, Huntington Beach, CA, USA drew our attention to the importance of dynamicity of bio-membranes in his compelling presentation “Update of the Singer-Nicolson Fluid-Mosaic Model of Membrane Structure: Its Importance in Functional Food Modification of Cellular Membranes and Function in Chronic Disease”. In this presentation, Dr. Nicolson described the Fluid Mosaic Membrane Model with a new angle, by emphasizing various interactions occurring both within and outside the membrane. These interactions (lipid-lipid, protein-protein, lipid-protein, as well as cell-matrix, cell-cell, and cytoskeletal) are very important for maintaining the function of the cell. Dr. Nicolson further reviewed the use of the functional food NTFactor® as a lipid replacement therapy. In various studies NTFactor came out to be a safe method to correct the damage of membrane lipids, and also to alleviate the effects of anti-microbial and anti-cancer therapies. Kristberg Kristbergsson, PhD, Professor, Department of Food Science and Nutrition, School of Health Sciences, University of Iceland, Reykjavík, Iceland presented “Effect of Particle Size and Gelatin Coating on the Stability of Liposome Delivery Systems for Bioactives”. With the goal of increasing the liposome stability during drug or food delivery process, Dr. Kristbergsson and her team used cold water fish gelatin as a coating of liposomes using the layer by layer electrostatic dispositioning method and showed it to be effective to make liposomes stable. Sean Liu, PhD, Research Leader, USDA ARS, Functional Foods Research Unit, IL, USA presented “Functional Beverage Products Using Caseinate - Omega-3 Oil-Oat Beta Glucan Emulsions”. Dr. Liu’s presentation addresses the issue to incorporate soluble fiber in omega-3 oil without interfering with the oil’s oxidative stability. His group formulated stable omega-3 oil with soluble dietary fiber by optimizing the concentrations of oat gum and caseinate. After the sessions, there was a panel discussion on the definition of functional foods and bioactive compounds. The panelists were Marvin Hausman, MD; Bruce P. Burnett, PhD; Pamela Starke-Reed, PhD; Marotta Francesco, PhD, MD; Garth L. Nicolson, PhD, Professor; Robert B. Beelman, PhD, Professor; Mark Berhow, PhD; Sean Liu, PhD; and Danik M. Martirosyan, PhD. During the discussion, the NAFDAC participants from Nigeria provided an excellent theme on the definition. The definition of “functional foods”, according to Functional Food Center, Dallas, TX, USA can be seen at our home page. We accepted the present definition by a thorough discussion held on at the 11th International Conference at University of California, Santa Barbara, CA, USA. From the panel discussion, we saw many schools of thoughts on the definition, so we ask that you review our definition, and send us ideas if you think it needs revision. The conference was closed with the distribution of awards and membership certificates of the Academic Society for Functional Foods and Bioactive Compounds. We are pleased to announce that teams from the USDA, NAFDAC, Nigeria, and GS Biomedical Research Institute (Japan) were awarded the “Introduction to Functional Food Science” textbook for their excellent performance in the conference. Overall, the 17th International Conference of Functional Food Center was a great opportunity to meet people with a shared goal: to promote, discuss, and improve functional foods and bioactive components in terms of their sources, discovery, utilization, and control. We are confident that the conference gave you exposure through knowledgeable lectures and thought-provoking discussions, and also by interacting with experienced professionals. We hope you left the conference more informed and experienced. We believe that it is very important to continue such conferences to be progressive in the field of functional foods. By looking back at the conference discussions with the USDA and other members, our suggestion is for continued discussion on the importance of safety issues of bioactive compounds in the upcoming conferences. We will also take this opportunity to announce our next international conference. The final dates are November 17-18, 2015, at Kobe University. Kobe University, a leading national university in Japan, will be the venue. We look forward to your participation next year in the conference, which will hold exciting presentations from research and industry leaders, and also opportunities for intense personal interaction.